The brain is highly susceptible to the damaging effects of oxidative reactive species. The free radicals which are produced as a consequence of aerobic respiration can cause cumulative oxygen damage which may lead to age-related neurodegeneration. Scopolamine, the anti-muscarinic agent, induces amnesia and oxidative stress similar to that observed in the older age. Studies suggest that antioxidants derived from plant products may provide protection against oxidative stress. Therefore, the present study was designed to investigate the attenuation of scopolamine-induced memory impairment and oxidative stress by walnut supplementation in rats. Rats in test group were administrated with walnut suspension (400 mg/kg/day) for four weeks. Both control and walnut-treated rats were then divided into saline and scopolamine-treated groups. Rats in the scopolamine group were injected with scopolamine (0.5 mg/kg dissolved in saline) five minutes before the start of each memory test. Memory was assessed by elevated plus maze (EPM), Morris water maze (MWM), and novel object recognition task (NOR) followed by estimation of regional acetylcholine levels and acetylcholinesterase activity. In the next phase, brain oxidative status was determined by assaying lipid peroxidation, and measuring superoxide dismutase (SOD), glutathione peroxidase (GPx) and catalase (CAT) activities. Results showed that scopolamine-treatment impaired memory function, caused cholinergic dysfunction, and induced oxidative stress in rats compared to that saline-treated controls. These impairments were significantly restored by pre-administration of walnut. 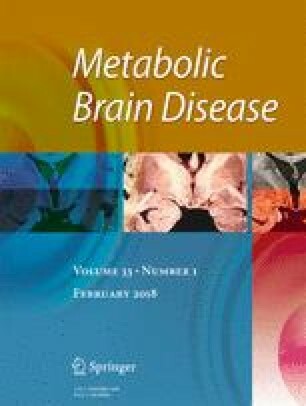 This study demonstrates that antioxidant properties of walnut may provide augmented effects on cholinergic function by reducing oxidative stress and thus improving memory performance. This research work was supported by Higher Education Commission of Pakistan and University of Karachi, Karachi, Pakistan.